The Best Story You Will Ever Read Your Entire Life! This story is not like any other story you have ever read, it will make you cry and make you smile. It will make you sad and it will make you happy. You will finish it feeling touched, delighted, and happy. O my goodness i'm sobbing!!! 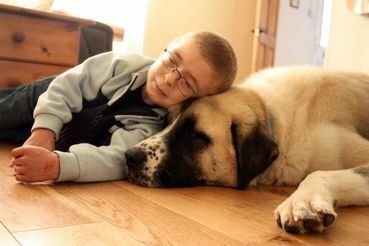 Thanx for Owen & Haatchi's story Hanna! THANKS DEAR HANNA WONDERFUL STORY . Creatures who have been through hellish circumstances tend to bond with one another, humans and non-humans alike.